Again welcome to all our Featherston Golfers, I have just finished setting you all up in Golf Manager and Dot golf – so when you are in next please ask office staff what your membership number is, I am positive all members and staff will make you feel very welcome to our Awesome club and please do not hesitate to ask the office staff if you have any queries. Good Luck to Amie Clisby, Kim Abrahams and Faye Turner who are representing Te Marua in the Champion of Champion’s at Karori on Sunday 25th November. The men’s Champion of Champions team has been confirmed and representing us will be Senior Zane Wilkins, Intermediate Allan Old and Junior Tony Claasen playing at Miramar on Sunday 9th December. Good Luck to the finalists in the Women’s Shootout they will be playing on Saturday 24th November teeing off 11.00am at number #3 tee and finishing up on #9. Kim Abrahams leads the board for the year on 388, then we have Kerry Baines 373, Faye Turner 372, Amie Clisby 372, Carole Medway 369, Lina Worthing 367, Mary Penrose 364, Joanne Carson 345. Good Luck Ladies!!! Good Luck to the finalist in the Men’s Shootout the results look pretty much the same as last week so leading the board ended up being Sam Iraia on 402, second was Steve Dearns 398 then we had Malcolm Wellington 392, Robert McIntyre 392, Roger Gee 390, Meka Boynton 389, Michael Baines 388, Greg Judd 388, Gregory Idour 387, Chris Hislop 387, Con Rogers 385, Clinton Codyre 384, Noel Kahui 384, Brett Keno 383, Chas Evans 382, Dean Alexander 382, Dave Topp 380, Tiri Subritsky 379, and lucky last Peter Gallen 19th, we have Wayne Turner also qualifying with the withdrawal of Brett Keno. Now we get to sort out the men from the boys and see who drops off first, second and so on Let the fun begin!!! Good Luck to you all!!! IF YOU ARE UNABLE TO PLAY PLEASE LET ME KNOW!! 7 of you have not confirmed you are playing!!!! Yesterday 15 Mid-Week men made their way to Levin Golf Club in very testing wet weather conditions. They decided to play 9 holes and pack it in if the rain got heavier, but the weather gods were on their side and after 9 holes the rain stopped and the sun appeared, so 18 holes were completed. They play on a home and away bases and as this was the first leg with the second leg to be played at Te Marua on February 21st. Some notable scores among the Team were Peter Stone and Wayne Turner with 40 Stableford.points, Pat Williams 39 and Alex Ross with 37. Overall result was Te Marua 32.8 and Levin with 35.27, however, it was a great day of rivalry and they were well looked after by their hosts. The fairways and greens were in excellent condition. So close Guys!!!! Congratulations, YOU are a FINALIST. Finalists qualified by being in top 3 places of competition on specified Sundays in 2018"
The right, over the period of Opening Day 2019 to Closing Day 2019, to ask, politely and respectfully, any MALE club member of legal drinking age present in the lounge upstairs in the Clubhouse to buy you a pint of beer from the bar. Only beer, only a pint (or less). Most IMPORTANTLY, you can only ask a person once during the above period. If you ask the same person more than once and that person bought you a beer when asked on a previous occasion, then YOU must buy HIM a beer ! WARNING: THIS PRIVILEGE MUST BE EXERCISED WITH COURTESY AND RESPECT OR IT WILL BE WITHDRAWN ! (Note: Underage persons will be restricted to non-alcoholic drinks)"
AGM ON Monday 3rd Decembert!!! Have you registered for the Masters???? The Mid-Week men had their Shootout Final on Tuesday 20th November, the weather wasn’t too bad with a little bit of rain but no wind and guess what? The SUN came out after the last hole was completed. Clive Dunstan won the event, Runner-Up was Lloyd Moore, 3rd Alex Ross, 4th Dave Edhouse, 5th Peter Stone – Congratulations to all participants and a big Thank You goes to Alastair Corbett for overseeing the day, Jeff Rigby who organised the prizes and Kevin Keown for organising the paper work throughout the year. Winner of the 2018 Austad Cup played on Sunday 11th and 18th November was Dave Workman, Runner-up Fernando Williams – Congratulations!!! The Midweek Ladies held their annual shootout on 7th November. We had a strong field of 14 Ladies and the competition was well fought. After a few putt/chip offs during the round the final came down to a finale between Kim Abrahams and Ange Walsh, with Ange making her putt to win the shootout. Congratulations Ange!!!! The Annual General Meeting was held on 14th November. Mary Penrose stepped down as Mid-Week Ladies Captain after many years either as Captain or serving on the committee. Mary is a valuable member of the Mid-Week Ladies, her knowledge and organisation of the many events over the years has been outstanding. The new committee for 2019 is Ange Walsh/Kim Abrahams – MId Week Ladies Captains, Erica Woods – Secretary, Trish Honey – Treasurer, & Committee – Chrissy Doughty, Joanne Carson & Carole Medway. The Combined Midweek/Weekend Ladies closing day and end of year dinner will be held on 5 December at Marie & Grahams house at 6 pm. Please put your name on the list on the notice board if you would like to attend. Saturday – Shootout Final for Men and Women. Monday Course Open – Office closed. 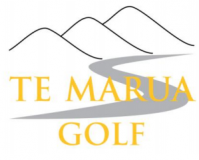 Thursday – MW Men & Twilight Golf.